"Consistency in prayer will not come and lie at your feet. You need to fight for it with a determined resolve. 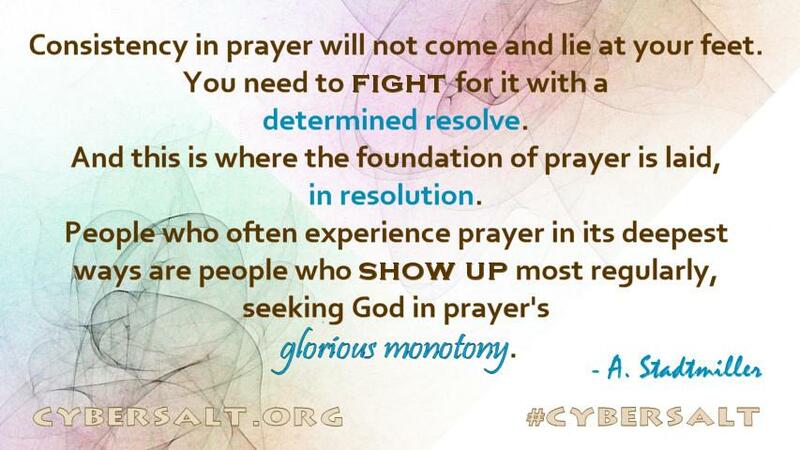 And this is where the foundation of prayer is laid, in resolution. People who often experience prayer in its deepest ways are people who show up most regularly, seeking God in prayer's glorious monotony."